Bellawood is a brand of prefinished hardwood flooring sold exclusively at the Lumber Liquidator chain of retail stores, as well as from the online site. The offerings include a wide range of domestic and foreign woods, both solid flooring planks and engineered hardwoods. Only a few years ago, Bellawood was the ultimate insider's secret, since Lumber Liquidator stores were found only out-of-the-way, light industrial zones. Now those stores are everywhere and Bellawood is no longer a secret. Shopping at Lumber Liquidators can be an alternately refreshing and maddening experience. If you can weather the experience, true bargains are available. Bellawood is pre-finished wood flooring, which means that it comes prestained with multiple coats of urethane-based surface finish. 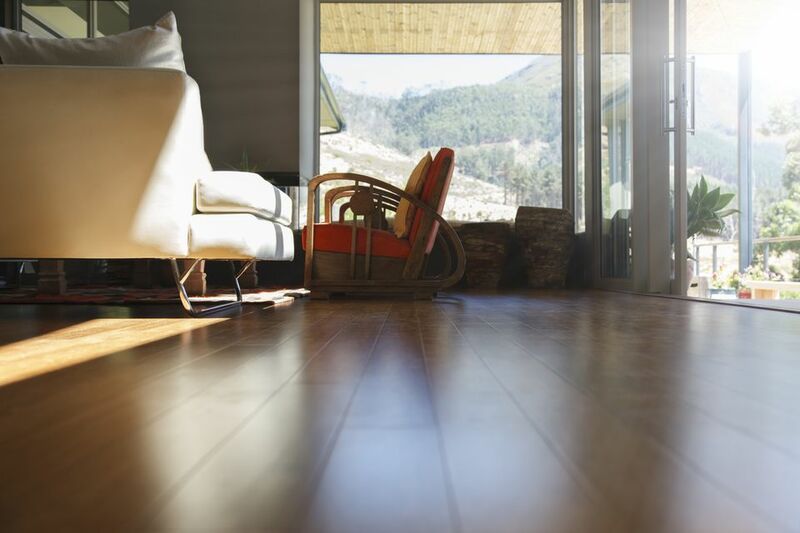 By buying prefinished wood, you avoid the mess and considerable smell that comes with manually finishing flooring inside your home. As of 2018, Lumber Liquidator carries 67 types of Bellawood prefinished solid hardwood flooring options and 19 types of engineered flooring products. The various types of Bellawood are typically available on-the-spot at Lumber Liquidator stores since the retail outlets serve as mini-warehouses for everything carried by the stores. This is in striking contrast to other retailers, where flooring products often need to be ordered as much as six to eight weeks in advance of delivery. Williamsburg oak: $4.79 per sq. ft. Select maple: $5.84 per sq. ft.
Brazilian cherry: $6.39 per sq. ft.
Australian cypress:$6.59 per sq. ft.
Brazilian pecan: $7.79 per sq. ft.
Brazilian walnut: $7.99 per sq. ft. There is rarely any complaint about the quality of Bellawood's surface finishes since they are generally hard enough to hold up to all normal usage. But some flooring pros do complain about having to work with Bellawood flooring, citing a more-than-usual number of defective boards in their orders. The company suggests that you order a full 17 percent more flooring than needed, and this overage is not just to account for cut-off ends and other normal waste that goes with any flooring installation. Bellawood is reputed to have a larger-than-normal number of defective boards that split, break, crack, or otherwise prove themselves to be unfit for installation. Still, waste is a fact of life with any hardwood floor installation, and many pros find that the lower up-front cost more than makes up for the extra waste that comes with using Bellawood. On the plus side, Lumber Liquidators showrooms are low-pressure sales environments. Because Lumber Liquidators owns its own stores and does not sell franchises, you will not encounter a small business owner or commissioned sales employee twisting your arm to buy more expensive flooring. Available stock of merchandise depends on the individual Lumber Liquidators store, but reports are generally favorable here—the stores usually have available stock for the products you want. The downside is that when you need help, you may not get it. And when an employee is available to help you, they often have only the most basic understanding of the product and are largely ignorant of the smaller details. However, this sparse level of customer service is not unusual in any discount store and is typical for stores that offer low prices by cutting overhead costs. Lumber Liquidators' showrooms are bare-bones. If you hit a Lumber Liquidators on a Saturday, it will be swarming with people and the small staff will be stretched. Weekdays offer a less hectic time to shop, and it is worth taking time off of work because of the lighter crowds and better customer service. If you want to avoid store crowds altogether and know what you want to buy, the Lumber Liquidators online purchasing system is very easy to navigate. Complete product information is available online, and ordering flooring requires only that you know how many square feet you need (again, make sure to add in the 17 percent overage). You can pick up your order for free at any nearby Lumber LIquidators outlet, or obtain home delivery for an additional fee. You Hear All About Kempas Flooring Now. What Is It?